Leonardo da Vinci's study of mechanics led to the creation of early prototypes of flying machines and submarines. Biologist Carolus Linnaeus pioneered the hierarchal system of taxonomic classification in use today. Barbara McClintock's genetics research garnered her the Nobel Prize in Medicine. 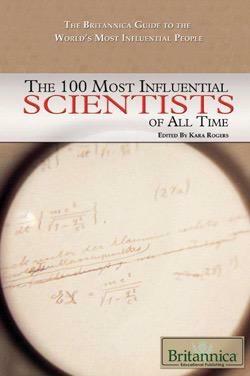 Detailed profiles of these and many other notable scientists are thoughtfully collected within these pages, and are supported by stunning photographs and images. Readers will be fascinated and inspired for years to come. "This ambitious series corrals world history's major doers and thinkers whose work challenges and inspires people consistently, or incites change or reform on a large scale. People of many races and nationalities are represented. Careful wording bridges one chronologically arranged article to the next, enhancing the idea that one person's word builds on an earlier individual's accomplishments...this series is a goldmine." "From leaders to commoners, this comprehensive series features people who have made major impacts throughout history. Organized in chronological order, subjects are represented from around the globe and range from B.C. to present day...A good series for high school students obtaining background information."